Sephora’s Beauty Insider Appreciation Event opens to all members today! I love this sale because it is a great opportunity to purchase products that you know you love, but also to try new products that you may not want to pay full price for quite yet. In addition to skincare and beauty, this event is the perfect time to purchase pricier beauty tools or to start thinking ahead for Christmas. Since I am busy with back to school stuff, Meg recapped all of our favorites in the sale below! Rouge, VIB and Insider members can shop now and receive a discount off of everything. You can shop the sale now through Monday, September 3. For online orders, you can only use your code once, but are able to shop the sale as many times as you want in person. The code for Rouge members is YESROUGE to receive 20% off, for VIB members is YESVIB to receive 15% off and for Insiders is YESINSIDER to receive 10% off. Sephora answers more FAQs about the sale in this article. If you aren’t a member yet, you can join now to automatically become an Insider here. 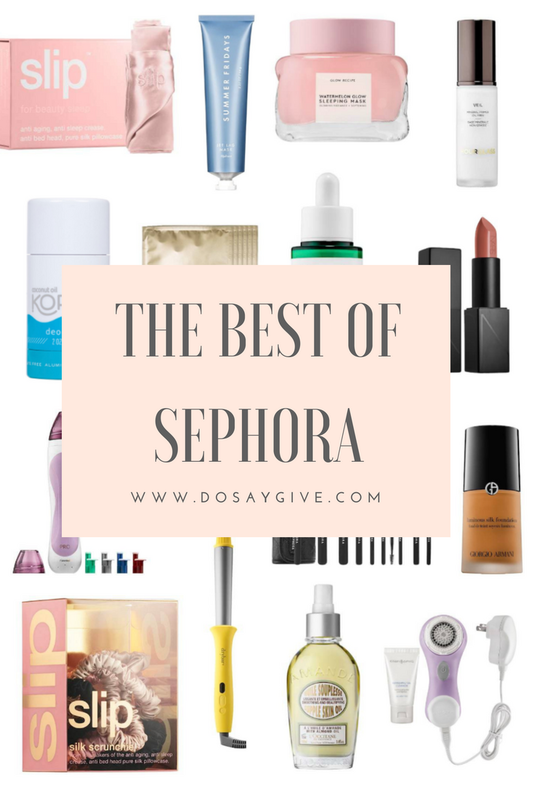 This truly is a can’t miss sale and below I am sharing mine and Meg’s favorite go-to products, what will be in our carts and a few of the great gift ideas included in the sale. Drunk Elephant Vitamin C Cream – Comparable to Skinceuticals popular Vitamin C serum (a must for anti-aging!). But people say the smell is more pleasant and the price is definitely better – especially when on sale! Watermelon Glow Sleeping Mask – I am excited to pick this product up during the sale because so many people have raved about it (at one point it had 5,000 people on the waitlist for this product)! This overnight mask is known to soothe irritated and inflamed skin and add moisture back in. Plus, the watermelon smell is irresistible! Summer Fridays Jet Lag Mask – This mask has also received a lot of attention lately too and is another one I am looking forward to trying! As its name suggests, it is perfect for minimizing the appearance of a lack of sleep. It is a thick cream, but full of clean ingredients that are great for sensitive skin! Estee Lauder Advanced Night Repair Sheet Mask – Have you guys tried sheet masks? There are so many that I love at Sephora, including this Rose Hydrating Sheet Mask from Origins, but this one from Estee Lauder is Meg’s favorite. She says that it is perfect when you need some hydration really quickly or if you are looking for a 10 minute pick me up. The Sephora Insider Event is a great time to pick this up because you will receive 6 sheet masks at a discounted price! Coola Classic Face Sunscreen – I recently tried this sunscreen and have fallen in love with it! It has a wonderful cucumber smell, is lightweight and layers well under makeup. Kopari Coconut Deodorant – I definitely jumped on the natural deodorant train and this is the one that I have liked the most! It smells like the beach and works just as well as normal deodorants. Dr. Jart Camo Drops – I received a sample of this product and after a few uses decided to purchase the full size. If redness is an issue with your skin, this product is perfect for you. It soothes your skin while also correcting redness to bring out your natural glow. Giorgio Armani Luminous Silk Foundation – I mentioned before that the Sephora Insider Event is a great opportunity to purchase products you haven’t tried before that may be a little pricier than you wish. This foundation is definitely one of them! It is a lightweight foundation with medium coverage, best for dry or normal skin. Bobbi Brown Setting Powder – I picked this up a few months ago and have loved it. Most people swear by the Laura Mercier Setting Powder, which is a great product, but I have found that this setting powder works better on my skin and keeps my makeup, specifically under my eyes, in place all day. Hourglass Veil Mineral Primer – There are so many different primers out there that have different benefits. I have tried this Tarte Primer and it is ideal if you are looking to smooth your skin before you apply your makeup. Others are known for brightening or pores, but if you are looking for an all-around primer to minimize pores and fine lines, hold make up in place and smooth your skin’s surface, definitely pick up this one by Hourglass during the Sephora Insider Event! T3 Straightening Iron – As a longtime CHI user, it was hard to make the change to a different straightener, but this one made the change. Don’t miss this and other T3 tools during the Sephora Sale! 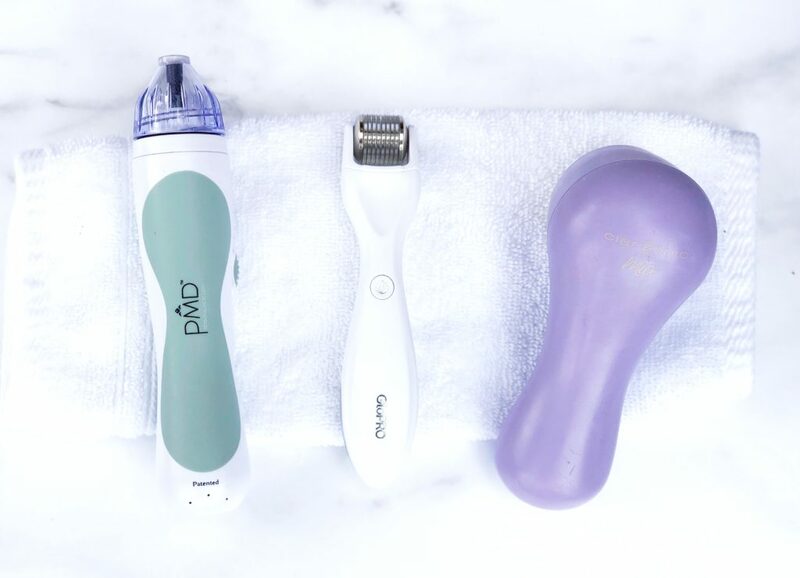 Clarisonic – Lee has raved about this tool for years and now is the time to pick it up at a discount! Read about how she incorporates it into her nighttime routine here. 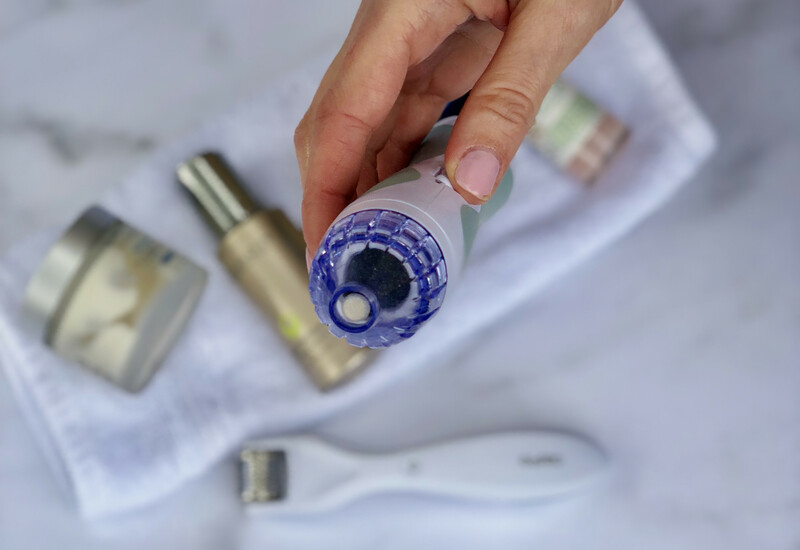 Personal MicroDerm Pro – This is another one of Lee’s favorite tools. It exfoliates deep in the skin to reduce the appearance of fine lines. She uses this once a week and it definitely helps makeup go on more smoothly. Read more about how she use my PMD here. Drybar Styling Wand – This is Lee’s favorite curling iron! Now is the perfect time to pick up beauty tools like this. T3 Hot Rollers – These are the best hot rollers on the market! While I haven’t used them, I have talked to so many that have and they love the soft curls they create. Sephora Brush Collection – Brush sets make great Christmas gifts! This Sephora set has so many wonderful reviews and is very affordable for a high quality brush set. This would make a great gift for a teen or college aged girl. L’Occitane Skin Oil – So many people swear by this skin oil (it has nearly 800 5 star reviews on the Sephora website!) With only a small amount, it provides so much hydration and helps to smooth skin. Pick this product up for your mom, sister or best friend! Urban Decay Naked Palette – Urban Decay is definitely known for their makeup palettes. Makeup palettes make wonderful gifts for beauty lovers! NEST 10th Anniversary Set – You all know I love candle sets because you can split them up for separate gifts. This set will be under $70 in the sale and comes with 10 different candle scents. The perfect gift for anyone! Slipsilk Scrunchies and SLIP Silk Pillowcase – SLIP is such a luxurious brand, specializing in silk products, known to protect your skin and hair. These two products make the perfect gift for any woman on your list! Pin this post to reference throughout the sale and after!